The SAS, or Security Analyst Summit is an annual conference hosted by Kaspersky Lab. It serves as a great showcase, not only for some of our own cutting edge research, but for invited third party speakers as well. David, why do you think that the SAS is so important? In the first place, each year we see some great research presented at the conference – not least reporting the activities of some sophisticated APT groups and the malware they use to target their victims. In addition, the conference provides a forum where professionals from industry and law enforcement can come together to discuss how best to save the world from cyber-threats. What past SAS research do you admire? I think our research exposing the activities of the Carbanak gang, at SAS 2015, was particularly amazing. This was the first time we had seen a ‘for profit’ group use APT tactics – to steal upwards of £1 billion from various banks around the world. This dramatic story highlights the great research of our Global Research and Analysis Team (GReAT). There’s a brilliant write-up here, by the way. Why do you think people should attend or present at SAS? Well, I think it’s a great place for researchers to learn about cutting edge research and developments in the cyber-security world. Not only that, leading experts provide a TON of practical demonstrations and training for anyone needed to develop their virus hunting skills, so it’s not just sitting in front of a panel or discussion group for eight hours. On top of all this, the team at Kaspersky Lab puts on a real show and makes everybody feel welcome. Well, there’s a lot under wraps at the moment, of course, so I wouldn’t want to jump the gun by giving details. However, I am looking forward to what IoT research we see at this year’s SAS – there’s a lot of research going into the world of connected things right now. 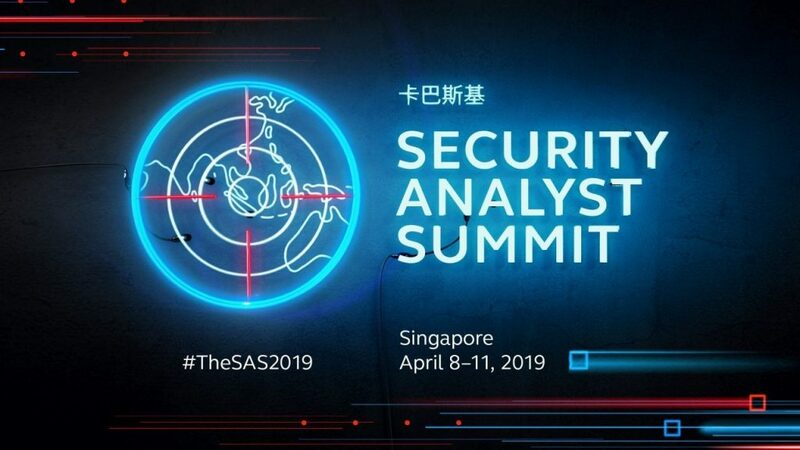 The Security Analyst Summit is kicking off this year in Singapore from April 8th – if you’re not attending, keep up to date with all the news and action by following Kaspersky Lab on Twitter or by following the #TheSAS2019 hashtag.